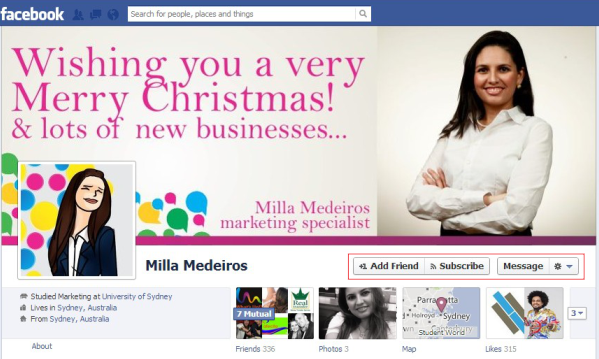 What is the difference between Personal Profiles vs Fan Pages on Facebook? This is a very important distinction to make when you decide to Marketing your Business through Facebook. Fan Pages are build for Business. It has Custom Tabs, Administrators, you can Advertise your Page through Facebook and many other different options. On Fan Pages, People Like their Page and on Personal Profiles, people become friends to connect with other people. Look the images below to understand the difference between both of them and to easy identify if you are on a Personal Profile or a Fan Page when you are on Facebook. This is my Personal Profile Page. 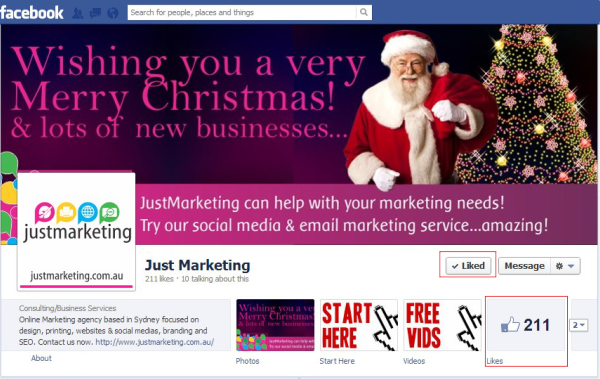 You can easily identify that by looking the Add Friend Button highlighted This is Just Marketing Fan Page. You can also easily identify that by looking the Like button highlighted. With your Personal Profile you can be Administrator of more than one fan page. When you create a Fan Page, you become automatically the administrator, but you can, and we highly suggest you to do, add other users as administrator to help you manage your page effectively. Fan Pages can have many different administrators. To create an Fan page, you need to have a Personal Profile account. Even if you do not want to get involved with Facebook on your Personal account, you need to create one account to enable you to be the administrator of your Business Facebook Page. Another easy way to identify if you are on Fan Page is by looking these 4 Icon Tabs that appear just below the Fan Page Cover Photo. This Custom Tabs are also called Tab Icons and they are small pictures that leads your to a custom Tab and this is the success key of your Facebook Page. Some Market Researches found out that Custom Tabs inside facebook works better than website to attract leads and sales. This Custom Tabs are nice and wide and you can customize them they way you like. It is like have your own Website inside Facebook. How cool is that? If you have are an Online business, imagine if you had your Order request form where your clients could easily fill out this form inside facebook instead send them to your website and ask them to fill there? If you want to grown your database, imagine to have the subscribe form asking them to leave their email address to receive further information? So, now that you know the difference between Personal Profile and Fan Page, make sure that you use your Fan Page to promote your Business instead of your Personal Profile. Next week we will post another article explaining the main advantages of use a Fan Page rather than your Personal Profile when Marketing on Facebook. Keep an eye on that. And if you learn anything new with this article, please leave a comment on the field below.